Following the exciting release of the Johnnie Walker Blue Label Ghost and Rare Brora last year, the Johnnie Walker Blue Label Ghost and Rare Port Ellen features the highly sought-after Islay single malt from Port Ellen, a ‘ghost’ distillery that has had its doors shut since 1983. 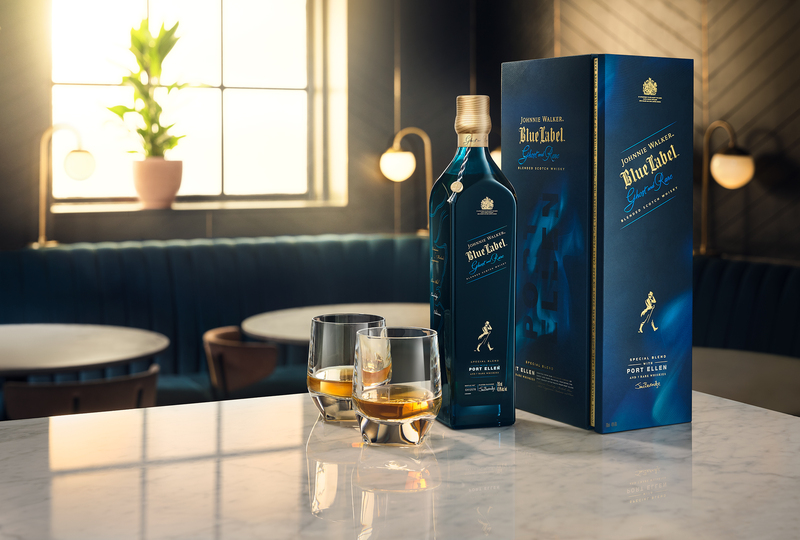 Each edition in the series offers a fleeting opportunity to savour the depth of character of whiskies from distilleries which have ceased operations or dwindled in stocks, with only 1 in 10,000 casks produced with the richness and character that exude the quality of Johnnie Walker Blue Label. Although the Port Ellen distillery has remained silent in the last 36 years, Johnnie Walker Master Blender Jim Beveridge and his small team of expert blenders recapture the memory of the precious cargo of smoky Island single malts, once carried on ships sailing from this famous distillery. An exciting exploration of flavour, ‘Ghost’ whiskies from Caledonian and Carsebridge add layers of creamy, vanilla sweetness whilst rare malts from Mortlach, Dailuaine, Cragganmore, Blair Athol and Oban, bringing forth sensational waves of waxy citrus, rich malt and tropical fruit flavours – all perfectly balanced by the distinctive maritime smokiness of Port Ellen that lingers in the long and warming finish.